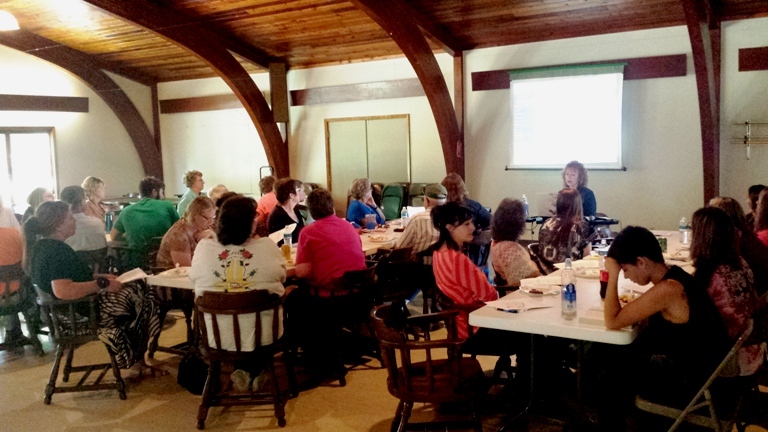 QuickBooks trainer, Natalie Bergquist, visited with Mobridge area businesses about bookkeeping tips for their businesses last Wednesday, July 23 as part of the Chamber's new Lunch & Learn Series. Some of the tips included signing your checks legibly, regularly reviewing your reconciliation statements between QuickBooks and your bank accounts, and back-up your QuickBooks file everyday you use it. Natalie runs QuickBooks for a variety of businesses and also teaches day-long trainings in Pierre. Upcoming trainings include, "How to Start Your Own Business," "Basic Accounting," "QuickBooks 1," and "QuickBooks 2." Natalie can be reached at 605-222-8025 if you would like more information on upcoming QuickBooks and bookkeeping-related trainings for your business. Below is a handout from the event for members that weren't able to make it. As Natalie explained it, most of us run Profit and Loss and Balance Sheet reports, but forget about other very useful reports QuickBooks offers. The Chamber's next Lunch & Learn is going to be "Crazy Busy: Time Management for Business Success." If you don't think you have time for this training, it's probably the perfect one for you! It will be August 13 from 12-1 p.m. Location is TBA, but will be put on the Chamber calendar at mobridge.org by August 1.